Welcoming To Vidhyabharti English School. The VidhyaBharti's school believes in imparting education which enters into the holistic and profound world of a child inculcating values like courtesy, gratitude and the enthusiasm to learn through the play - way method. 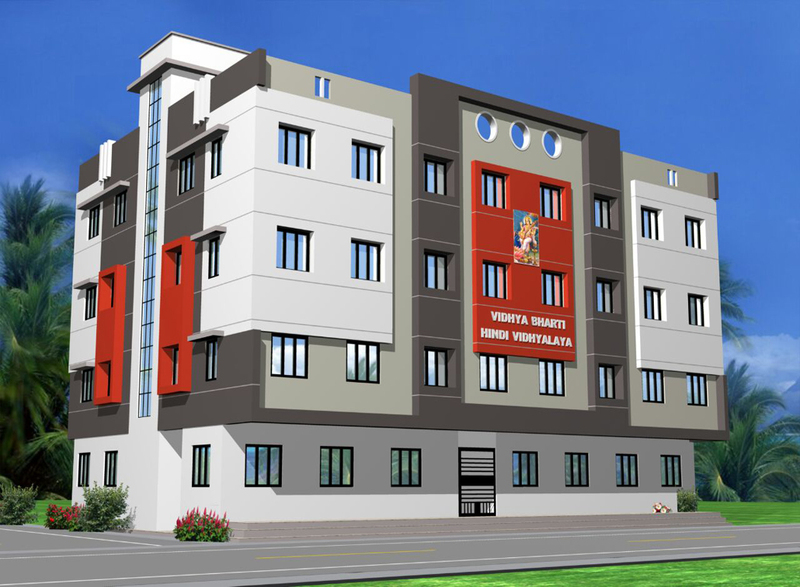 VidhyaBharti English School, Surat aims at nurturing individuals with paramount values and multivalent competencies. This is accomplished by focusing not only towards academic excellence but also all round development of the child, his character and personality, aesthetic refinements, effective skills and the art of living. As the essential part of childhood is free spirit and recreation, VidhyaBharti offers enriching activities like Skating, Field Trips, Cricket, Basket Ball, etc. Timely competitions with compulsory participations are held to overcome consciousness, nervousness, stage fear, etc. These are targeted at promoting a sense of expression and reciprocation. Focused and unique plan for students so designed by school is executed by well trained and highly qualified teachers. The school too initiates on giving a special training to our teachers for the best output. Teachers continuously strive to uplift the inner qualities and polish artistic skills that each child possesses. Vidhyabharti English School is a great place for my daughter to start her schooling experience. It’s welcoming and safe and my daughter loves being there. This letter is to recognize you and your staff for doing an excellent job teaching my son. His skill level is significantly better since attending Vidhyabharati School.